The idea of a perceptual front end for determining Linear Prediction Cepstral Coefficients has been applied in different ways to improve speech detection and coding, as well as noise reduction, reverberation suppression, and echo cancellation. In so doing, we improve their performance while simultaneously reducing their computational load. Contact us for more information or to discuss your speech application requirements. 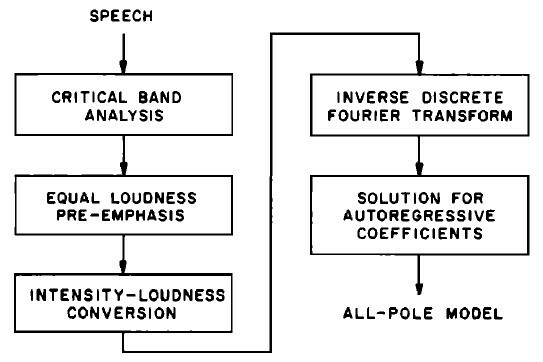 H. Hermansky, Perceptual Linear Predictive (PLP) Analysis of Speech, in J. Acoust. Soc. Am., vol. 87, no. 4, pp. 1738-1752, 1990.